By Rebecca Nickols on June 8, 2012 Visit Rebecca's Website. 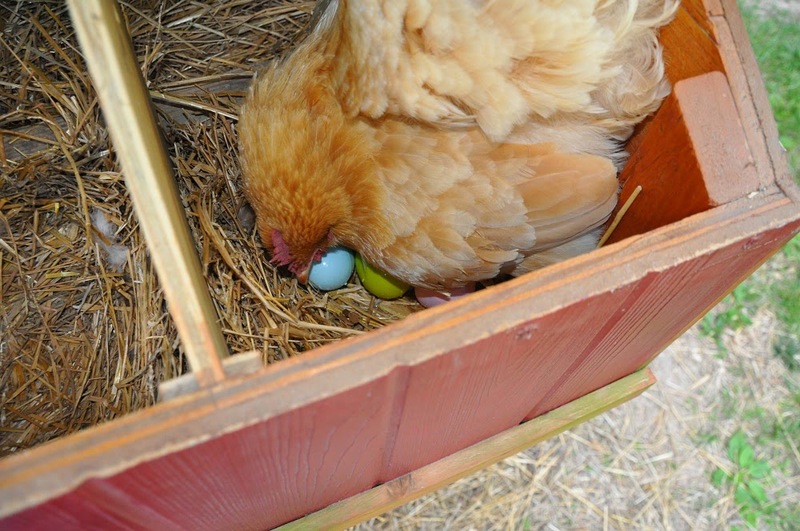 In my first attempt to break Henrietta’s broody behavior, I followed the advice of several Community Chickens readers: I isolated her from the coop and nesting box, and I also tried to see if she would accept the new chicks as her own youngsters. Neither attempt worked … The young flock was terrified of the loud, puffed-up hen, and Henrietta stubbornly refused to have anything to do with the chicks. 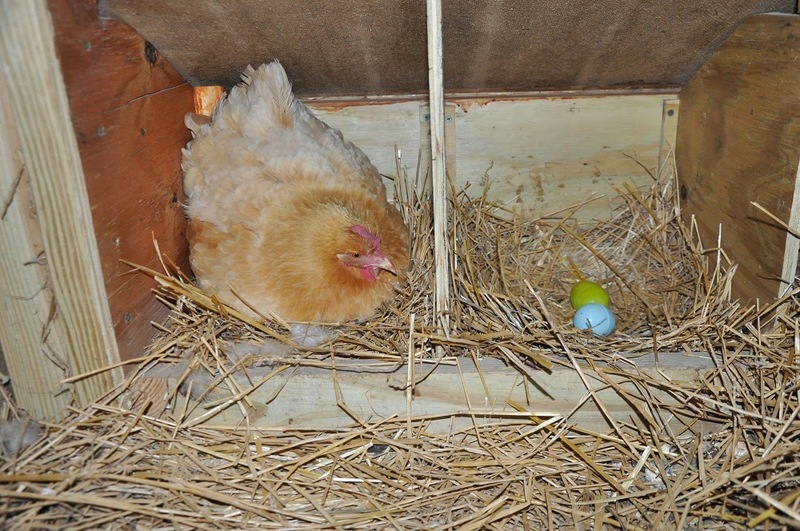 After a few days, I gave up and set Henrietta free (she headed straight back to her nesting box of imaginary eggs). She’s the most dedicated pretend mother I’ve ever seen, and if it weren’t for the fact that my coop is probably too small for the amount of chickens I now have, I would let her incubate a few fertilized eggs. After reading the comments on the Community Chickens Facebook page, I decided to take the advice of a few of the readers and try another method of breaking the broody. A couple of readers suggested I dunk the hen in cool water, but I’m too much of a wimp to do that. I’ve grown fairly fond of Henrietta and I don’t think I have the heart to frighten her. Another reader said that cooling the vent area might work … this I could try. 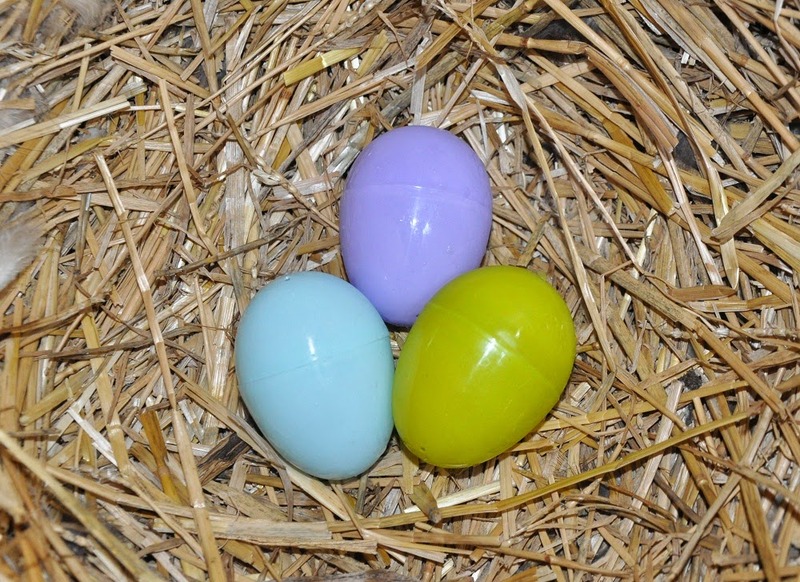 My Pet Chicken suggests replacing eggs in the nesting box with ice cubes or an ice pack. I thought I would go a step further and freeze a few plastic Easter eggs! 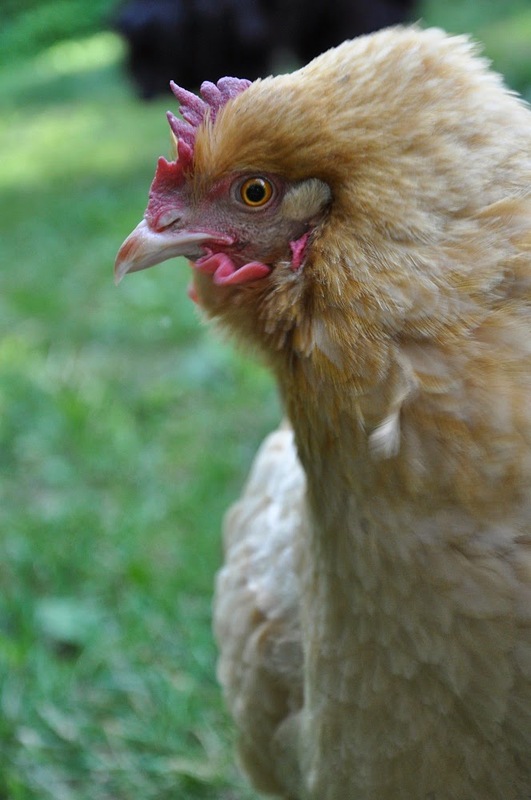 All of you chicken-keepers out there: What’s the longest time you’ve had a hen be broody? I have an Australorp that spends much of the summer dipping in and out of broodiness. In a desperate attempt to understand more about what was happening to her, I started doing some research. I have got carried away and have written a 6000 word Broody Hen guide! 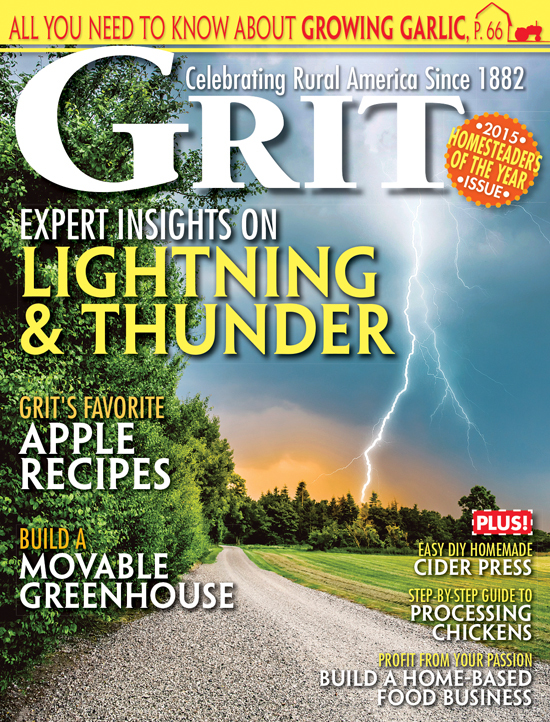 In it, I answer 61 of the most frequently asked questions relating to broody hens. Does a 6 month broody set a record? If so, our Delaware, Bea wins. She layed an egg everyday for a year, then molted a few times and no eggs and when she was a year and a half, she went broody and has been that way for 6 months now. We tried the seperate cage thing for a few days and the broody seemed to stop and we let her out but she has not laid any eggs and the broody has started again. A friend who has lots of hens said he would take her to his farm. We’re in this for the eggs, so Bea may be heading off to the farm soon. i also had a sweet broody buff that i tried and tried to break. finally, out of frustration, i put 3 fertilized eggs under her and let her be. she hatched out 2 (only one lived) and what fun, she was such a good mom! i was worried about the rest of the flock hurting the baby but mom was so protective that they all stayed far away from her. it was such a pleasant, worry free experience i am hoping she does it again soon. i am ready to add some young chickens to our flock, i plan to put several more eggs next time! It might take two attempts, but it’s the quickest method I’ve found, and is vital if the hen isn’t in the best of shape to start with as they lose condition so quickly. If you allow them to stay broody, they will sit much longer than the 21 days it takes to hatch. I’m a new chicken mama and one of my hens has stopped laying, is growling at everyone, and won’t leave the nesting box. A woman at my husbands job said she was molting. I don’t see any feather loss and it’s been 1 1/2 weeks now. Every day that I check her she is sitting on one of the other hens egg. I now think she is broody after reading all of this. We did add 4-four month olds to the mix. Maybe that pushed her over the edge, haha Today I took her out of her box and put her outside. I cleaned the coop and added fresh picked rose mint to each nesting box. Maybe the herbal therapy will help her, LOL. I put my hen in her “time out” cage for a day and she laid an egg. So I put her back out with the others and she has stopped her huffiness. So I don’t know if that counts as being broody or not (since she laid). But I was surprised to see that she is laying since she has been walking around clucking and puffing up but not setting like a full-blown broody. Oh please send me a link to any advise! I have a Buff Orpinton that went broody last Fall and hasn’t lain but on tiny egg since! It is now July and Fall approaches swiftly gain! My Cuckoo Maran has now gone broody, so two hens, no eggs! HELP! I’ve had broody hens before that I put in a cage off by themself and broke them in a day or two. I have another one now puffing and strutting so in the cage she went this morning. Hopefully she’ll start laying again soon. take advantage of it start new life in the hen house build a special place for broody’s where they can not be poop on in any way away from the others raise the young from eggs or ones bought keep them medicated protect your flock at all cost even from the pecking order.